Windows IIS(Internet Information Services), it is an extensible Windows web hosting server created by Microsoft for use with the Windows NT family, it supports HTTP, HTTP/2, HTTPS, FTP, FTPS, SMTP, and NNTP. When you are working on the windows server you might across an issue while create or access a file or a folder, In such case, the main reason would be because you would not have adequate permission, let us look at an example where you will face such issue or error. Access to the path 'D:\WebSites\myapp.co.uk\companydata\filename.pdf' is denied. 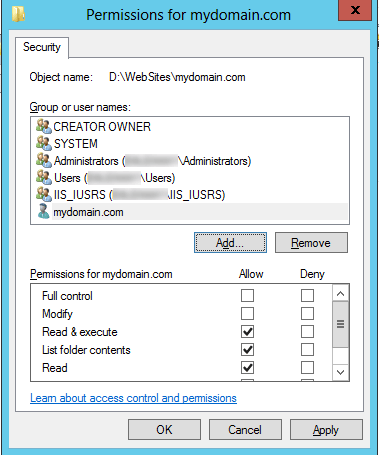 When you are giving/adding the user /group names we also need to add permission for the particular domain from the access control list. 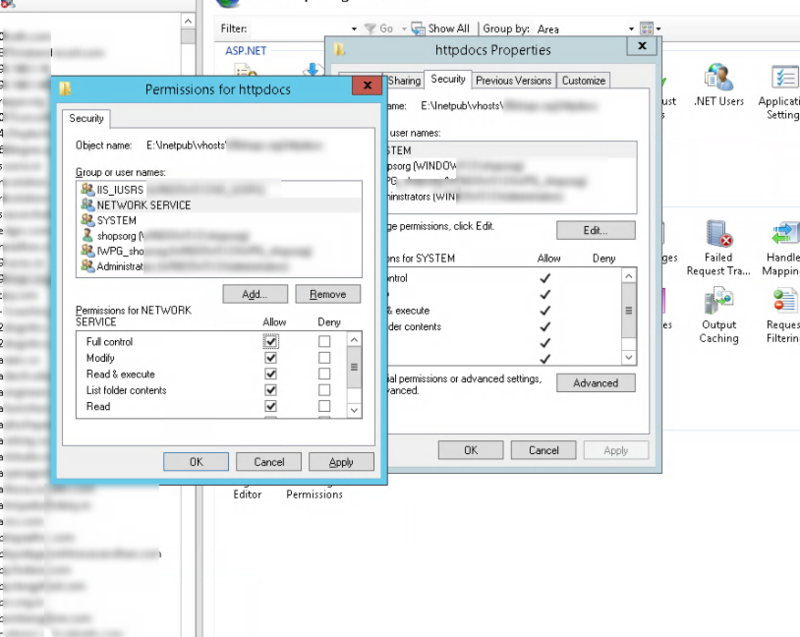 Now let see what ACL or access control list means.It is the list permission linked to the object or group name and each of the permission entries is called as an Access Control Entry (ACE) It basically contains a permission associated with a particular identity. 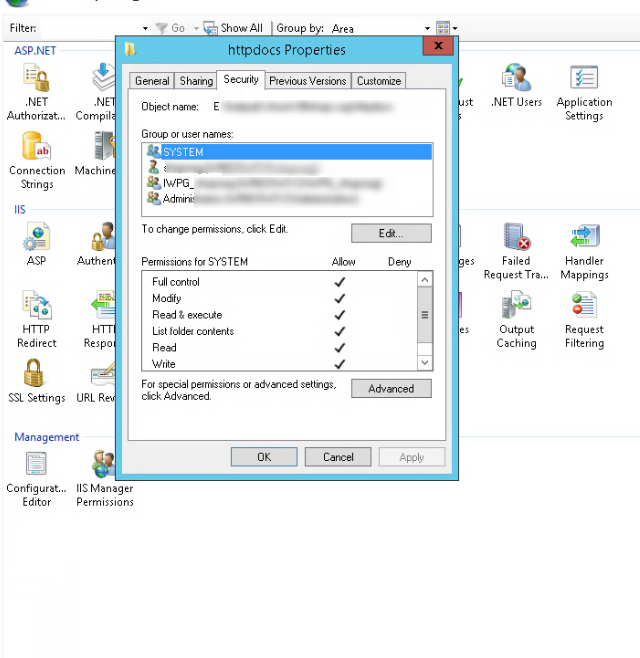 The most common permissions t in ACE are read, write, execute, and list folder contents. 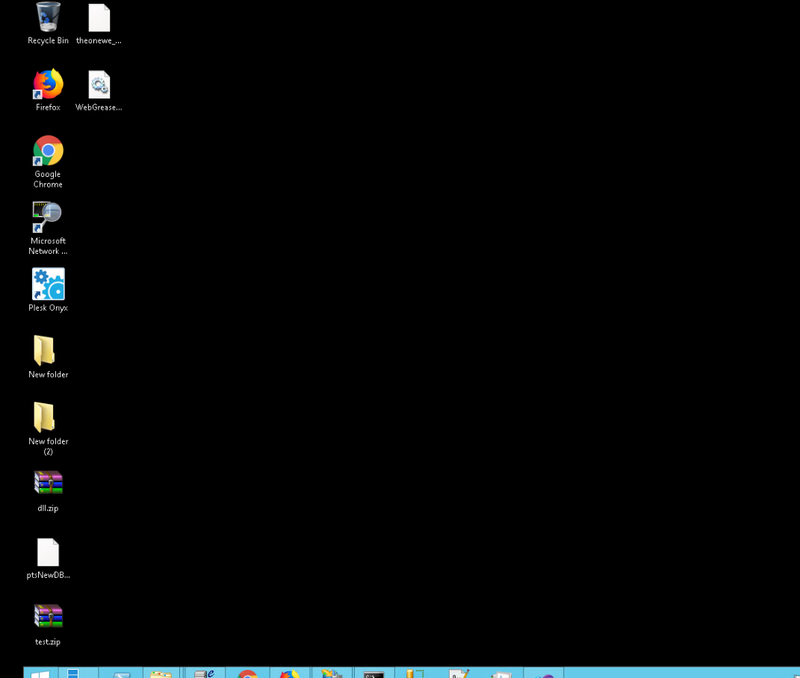 It provides read and execute access to the file system object, respectively. The execute permission is applied to an operating system which can execute a particular application as the specified user. 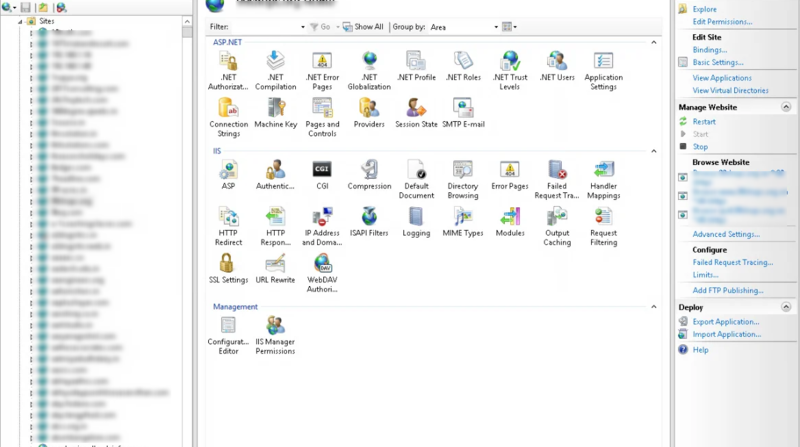 The list folder content permission, it is used for displaying the contents of a folder and to register file change notifications on a directory. 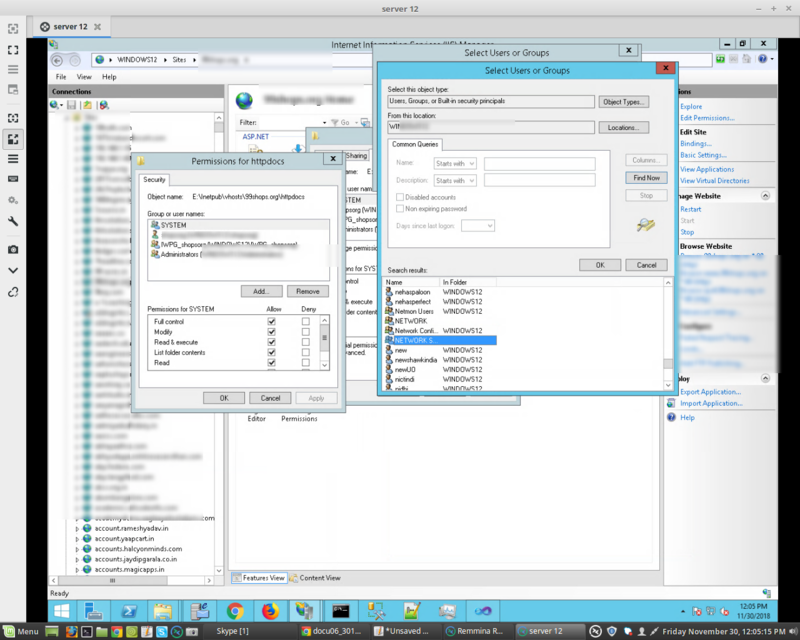 The full control permission provides all access to the file system object. It is better to avoid giving full control, instead try giving read/write permissions. The IIS_IUSRS group replaces the IIS_WPG group. This built-in group has access to all the necessary file and system resources so that an account, when added to this group, can seamlessly act as an application pool identity. 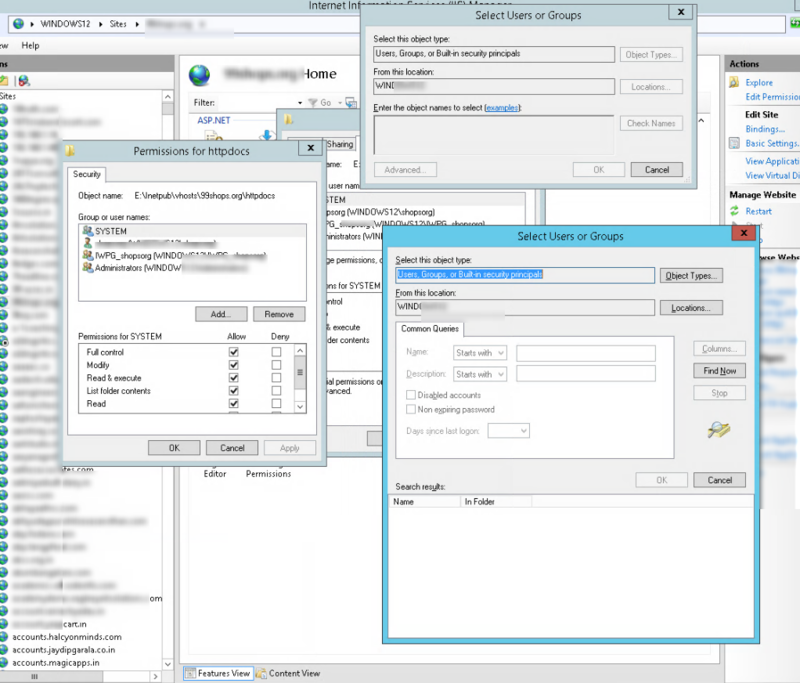 Step 5: After you click on Edit permissions >> goto security tab on httpdocus properties>> and click on Edit. 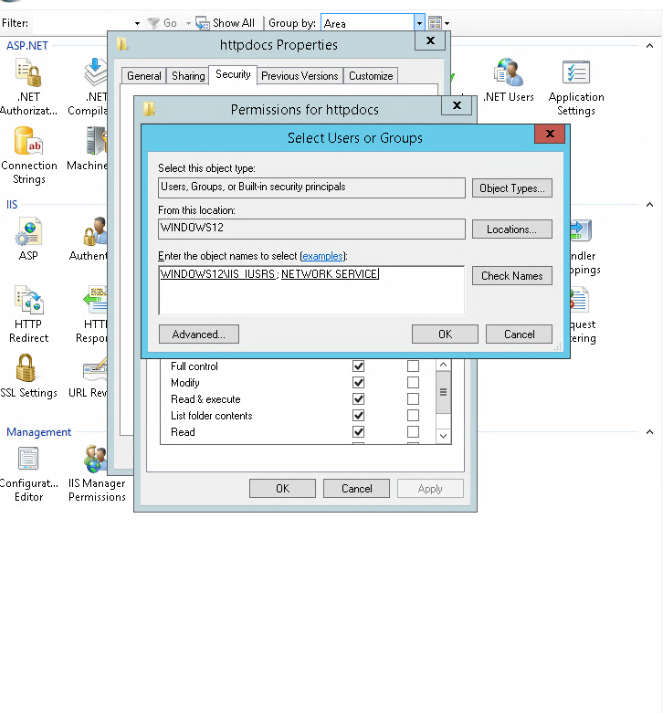 Step 6: After you click on Edit >>click on add in the permissions for httpdocus >> click on advanced on the select users or groups tab>>in the select users or group tab click on find now. 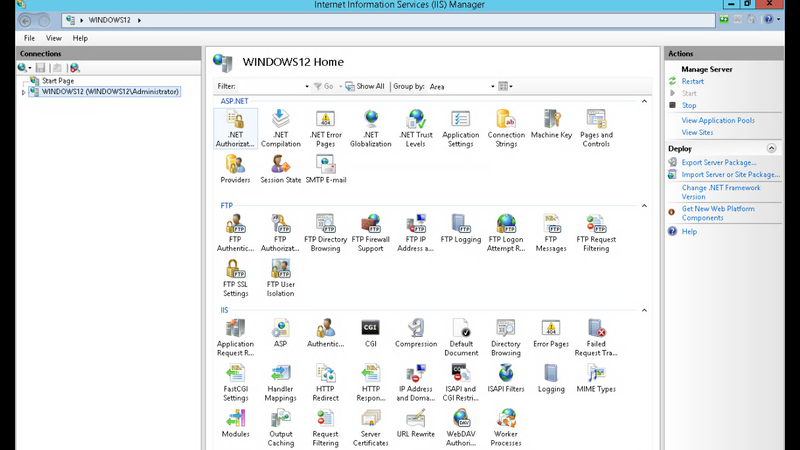 Following the above steps, you can add NETWORK SERVICE and IIS_USERS with full control for your website. Choose the best windows hosting solution for your business from HostingRaja and get best in class hosting solution with latest features, offers and discount. How to resolve Validation of viewstate MAC failed?